But congressman Gowdy is not staying quiet about this one. He has a lot of pretty powerful things to say about it. 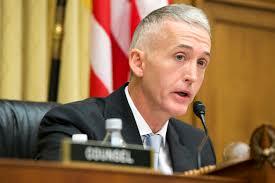 “I think Congress is much better equipped to do investigations than journalists are,” Gowdy told Fox News’ Bill Hemmer. “We can’t rely on anonymous sources. We can’t rely on leaked information, classified information which in and of itself is a crime. “So with all due respect to the reporters, I can’t cross-examine anonymous sources. You can’t even directly examine them. It’s a lot easier to write a news piece than it is to conduct an investigation,” he continued. Are you with Gowdy? Do you trust that Congress is better prepared to deal with investigations like this than the media and journalists are? Because on one hand I agree. The media is pretty corrupt and has not accurately portrayed so many things. But does that really mean we trust the government more? Luckily, both sides are looking into the claim and we will hopefully get some clarification soon. At the very least, I am sure it will prove to make a more aware group of individuals moving forward.